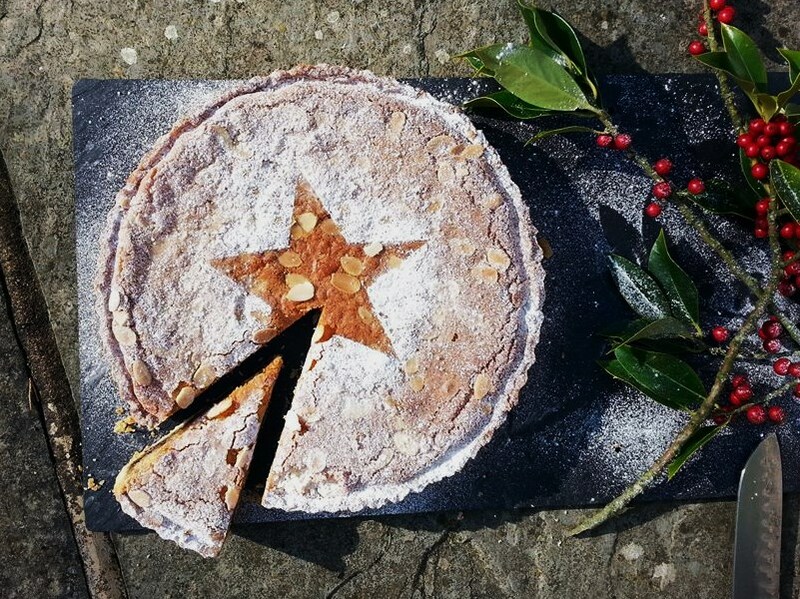 Everyone loves a Bakewell Tart, so why not make my seasonal variation of the classic British dessert this Christmas instead of a batch of mince pies? Sliced up hot or cold, this bake is a real crowd pleaser and gives your jar of mincemeat a much needed make over. Rub the flour and butter together between your fingers until they resemble breadcrumbs. Add the caster sugar and salt then mix. Tip your egg yolks and milk into the bowl and stir with a knife. Bring the ingredients together with your hands to form a ball, handling as little as possible (the less you handle the pastry the more crumbly and delicious it will be!). If the pastry seems too dry add another teaspoon of milk. Wrap the ball of pastry in cling film and leave it to rest in the fridge for half an hour. In the meantime, grease a 22cm loose bottom tart tin and preheat the oven to 200c (fan). 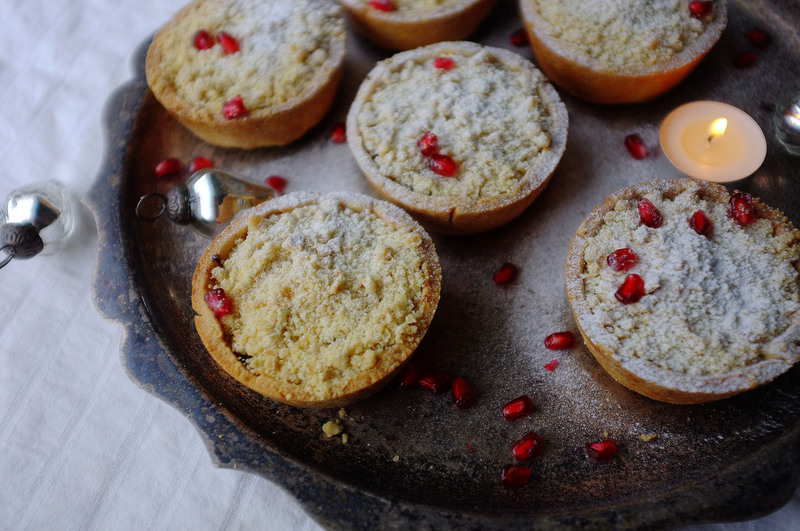 After 30 minutes, remove your pastry from the fridge (or reach for the pack of readymade!) and flour a work surface. Roll the pastry out to about 4mm thick then line your tart tin, patching up any gaps with excess pastry and pushing it right into the corners. Blind bake your pastry case for 15 minutes (10 minutes lined with greaseproof paper and baking beans then 5 minutes without) then remove from the oven. 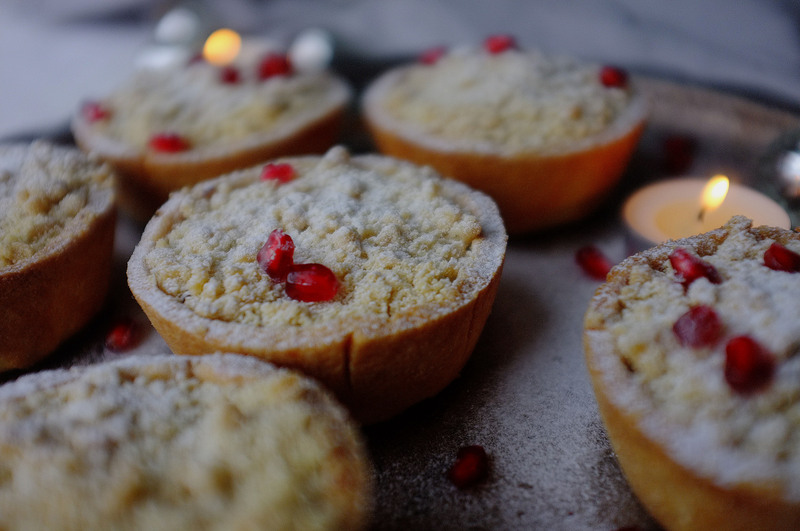 ¾ jar mincemeat, 1 apple (finely chopped), 1tsp cinnamon, zest 1 lemon, 150g caster sugar, 150g butter, 150g ground almonds, 1 large egg and a handful flaked almonds. 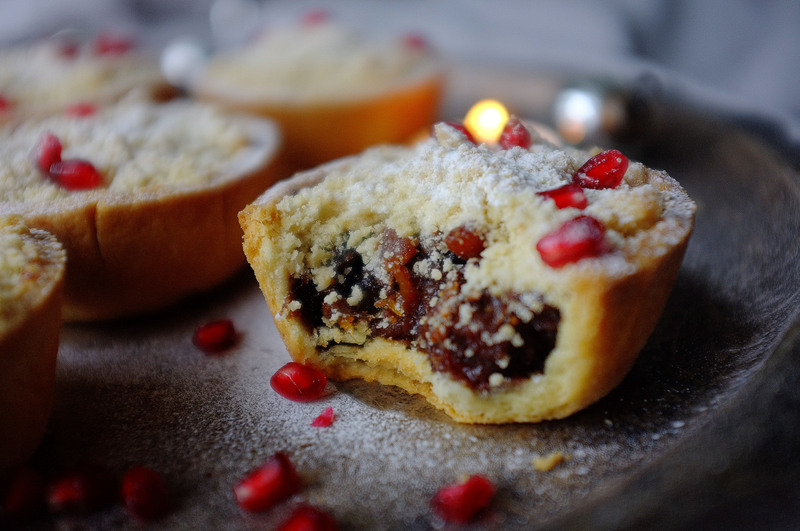 Mix the mincemeat, apple, cinnamon and zest then spread generously across the base of your pastry case. Next, whisk together the sugar, butter, ground almonds and egg until smooth, then dollop all over the mincemeat. Use a palette knife to level out the mix to the edges of the tart case. Finally, sprinkle with the flaked almonds. Turn the oven down to 180c (fan) and pop your tart in to bake for 30 minutes, or until golden brown. 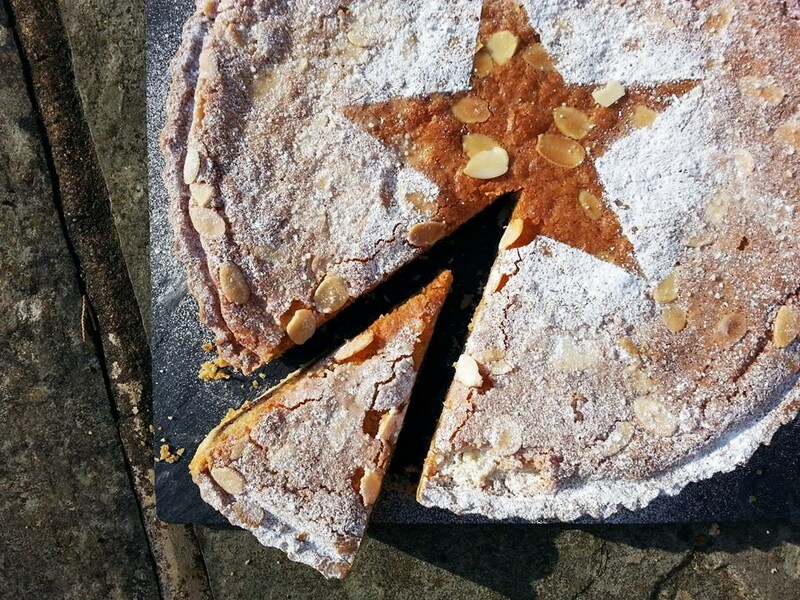 Leave the tart to cool in the tin then remove and dust with icing sugar. Serve with a dollop of brandy butter or creme fraiche!